Since I love working with small businesses and small-town businesses, I get asked a lot about one of the most basic questions to having a website: “Why should I have one? How does it benefit me?” Many folks, because they just don’t understand the concept of online marketing, fail to grasp how important a website is to their business. 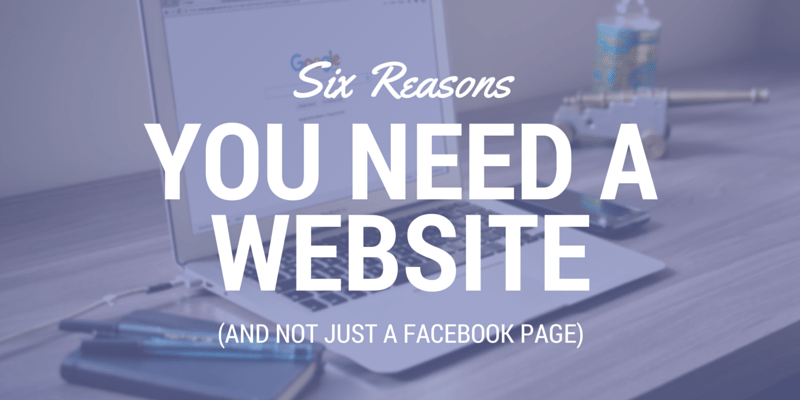 In order to clear the confusion, here are six solid reasons you need a website (and not just a Facebook Page).